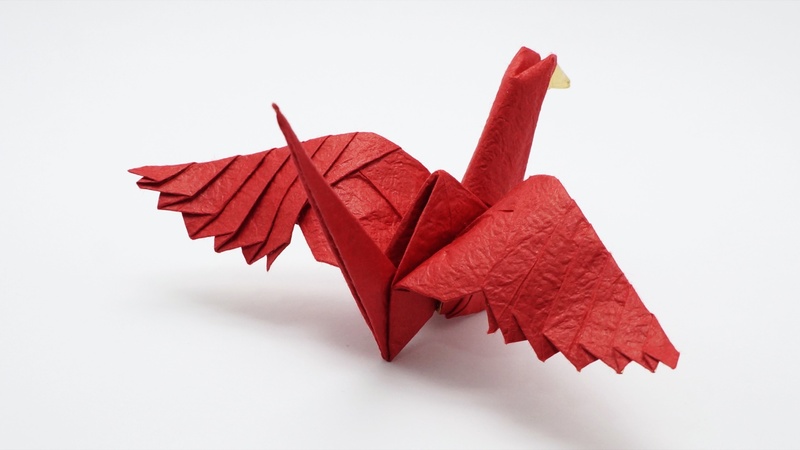 How to make an origami Feathered Crane designed by Jo Nakashima. 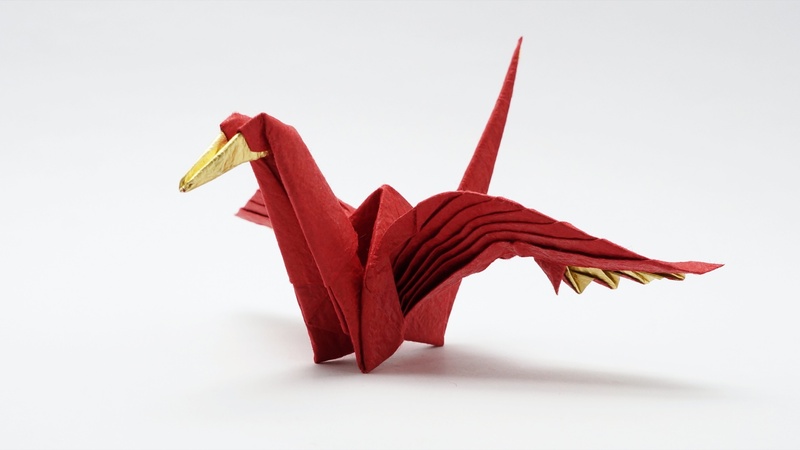 This model is like the traditional Tsuru, but with nice details on the wings and a color change on the beak. Special paper is NOT required! You can use even standard 15cm x 15cm origami paper. But for best results I recommend DELUXE WASHI 24cm x 24cm.